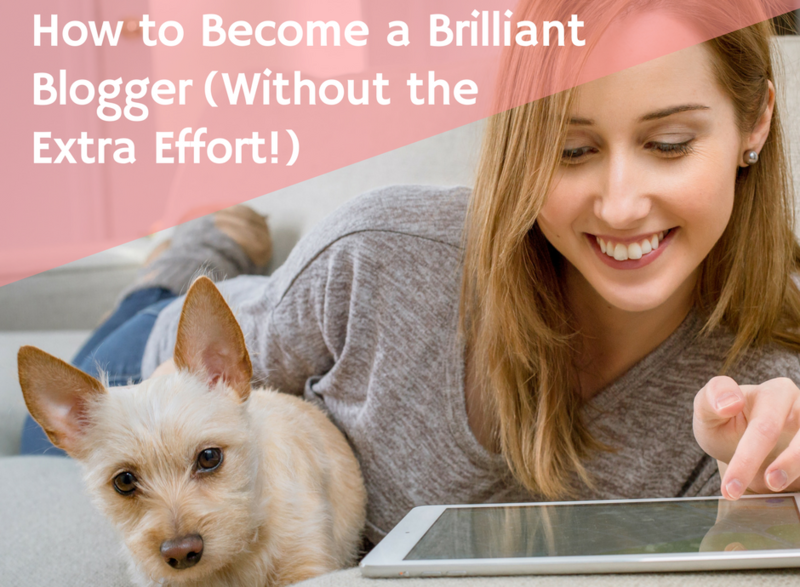 How to Become a Brilliant Blogger (without the Extra Effort) : LifeLearn Inc.
It’s no secret in the veterinary industry that pet owners don’t always follow medical advice. It can be frustrating, annoying—and dangerous for pet health. But what if you had a way to show pet owners just why it’s important to follow your advice, while also showing them how open, transparent, and approachable your practice is? That’s exactly what your veterinary blog can do. Your veterinary blog is an online world of pet owner education. It’s a place for you to share your knowledge and expertise with pet owners in a way they can access whenever they need it. Maybe your website comes with a blog built in, but you’re not sure how to find the perfect balance between education and entertainment. How can you make a veterinary blog work for your practice? Step 1: Get to know your audience. Before you can run a successful blog, you have to know what your target audience—pet owners—want and need to read. You might already have a ton of insight as to any gaps in client knowledge, based on encounters at your clinic, but it’s also important to present this information in a way that keeps pet owners receptive. Social media listening tools are a great way to get an idea of what pet owners are really thinking, what questions they want answered, and what concerns they have about pet health. Alternatively, feel free to come straight out and ask what they want, or use data collected from client satisfaction surveys to choose what stories your blog posts should tell. Step 2: Find storytellers within your team. If you want your blog to keep pet owners engaged, you need to write stories that can simultaneously captivate and educate. While not everyone loves writing, your practice likely has a few budding wordsmiths who can give your clients quality content. Running a blog is truly a team effort, so it doesn’t necessarily have to be a veterinarian who does the writing—you just need someone with writing skills and a solid grasp on the finer points of grammar. Looking for a home for your veterinary blog? WebDVM websites come with an easy-to-use blog platform built right in to streamline your sharing process. 25870Remember: High-quality content isn’t just about the accuracy of the facts; it’s also about ease of reading. You’re not writing to an audience of veterinarians, so your blog shouldn’t read like a textbook. Overly technical verbiage, formal grammar, and dense writing are all equally distracting from the message you’re trying to share. Avoiding all three will satisfy your readers and keep your practice’s credibility intact. Step 3: Keep your content current. Nothing kills credibility faster than publishing content with outdated information. The pet health industry is in constant flux, and pet owners turn to their veterinarians for trusted advice. Publishing content with only up-to-date information can help establish your authority as a trusted resource for your clients. Staying current doesn’t mean you can’t repurpose older content! In fact, you can save heaps of time using updated versions of blog posts about recurring pet issues—like seasonal tick and flea resources, or holiday pet hazard lists. Building a library of credible posts doesn’t just look good for your practice, it also benefits your clients by improving their ability to care for their beloved pets. Step 4: Add value to your readers’ lives. The ideal veterinary blog balances engaging content with an educational message to ensure that it’s always adding value to your pet owners’ lives. Your knowledge and professional opinion are invaluable to your clients. Sharing online helps reassure them that you aren’t just “in it for the money,” and that you care about the health and well-being of their pets. Taking the time to address common concerns that pet owners face on a daily basis, from a loss of appetite to separation anxiety, encourages clients to seek your advice online rather than turning to the questionable Dr. Google. Short on content, and on time? Don’t stress—ClientEd Online allows you to pull trusted educational materials and pet health information that you can customize and incorporate into blog posts for better, faster client education. When client education can translate into better compliance and pet welfare, it’s a win-win. Becoming a brilliant blogger means giving out free pet care advice, but in return, you create loyal customers. Following these four simple steps can help you do it all without even breaking a sweat. Want to learn more about the wonderful world of veterinary blogging? Check out our other related blog posts for more fun content!